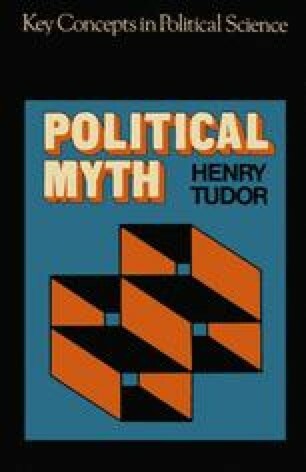 I have suggested that a political myth is a set of similar arguments the individual meanings of which can not be determined apart from their context. Our discussion of the Roman Foundation Myth illustrates this point. Although far from comprehensive, it shows that, as the myth was transmitted from one generation to the next, its meaning and content changed giving us a series of individually distinct versions. None of these versions can be said to embody the ‘true’ meaning of the myth. Nor is there a single ‘core’ doctrine to which all versions, however diverse, can be reduced. Had we been able to discuss the later uses to which the myth was put—for instance, by opponents of papal power in the Middle Ages, by republican orators during the French Revolution or by Italian Fascists in the twentieth century—the point would have been made even clearer. A political myth is not a world-view which somehow persists unchanged through all its particular manifestations. It is, rather, what Wittgenstein would call a ‘family’ of arguments.